Year: 1897 Item #: 371 Views: 6,216 Comments: No Comments. Grossmith's Tribute of Fragrance In commemoration of Her Majesty's Reign. 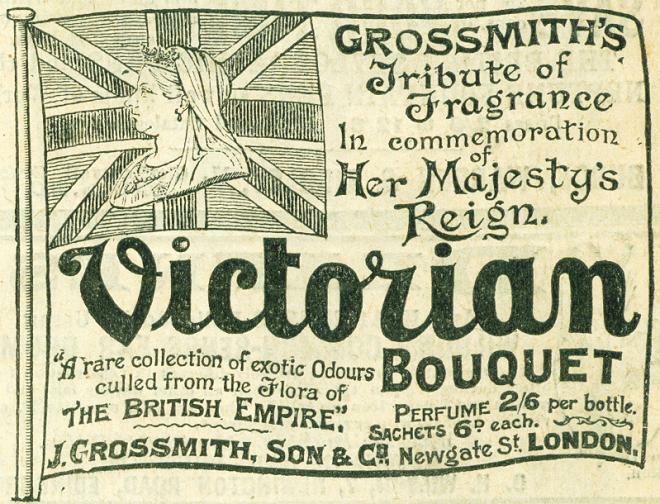 Victorian Bouquet - "A rare collection of exotic odours culled from the flora of The British Empire."